SUTENT is indicated for: treatment of advanced renal cell carcinoma (RCC) treatment of gastrointestinal stromal tumour (GIST) after failure of imatinib mesilate treatment due to resistance or intolerance treatment of unresectable, well-differentiated pancreatic neuroendocrine tumours (pancreatic NET). 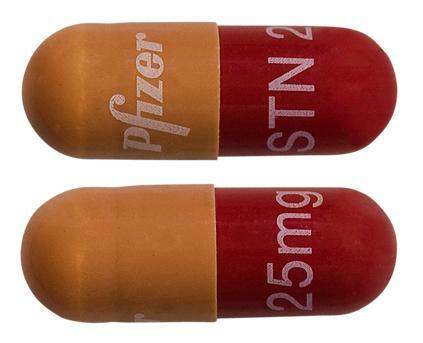 Capsule with caramel cap and orange body containing yellow to orange granules, printed with white ink "Pfizer" on the cap and "STN 25 mg" on the body. 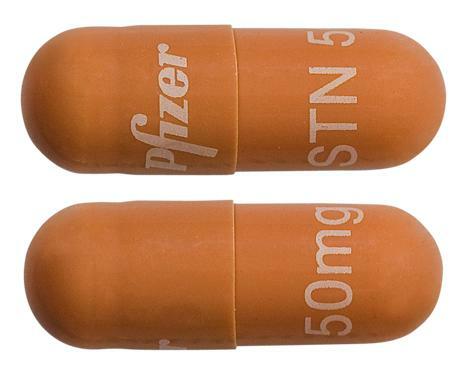 Capsule with caramel cap and body containing yellow to orange granules, printed with white ink "Pfizer" on the cap and "STN 50 mg" on the body. 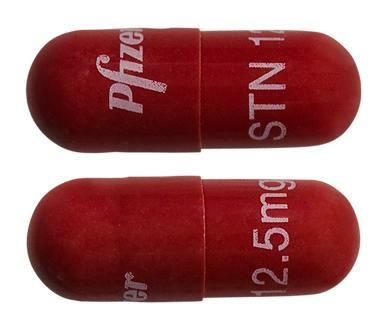 Capsule with orange cap and body containing yellow to orange granules, printed with white ink "Pfizer" on the cap and "STN 12.5 mg" on the body. Gastrointestinal stromal tumours are the most common type of cancer affecting cells in the gastrointestinal tract, usually the stomach cells.